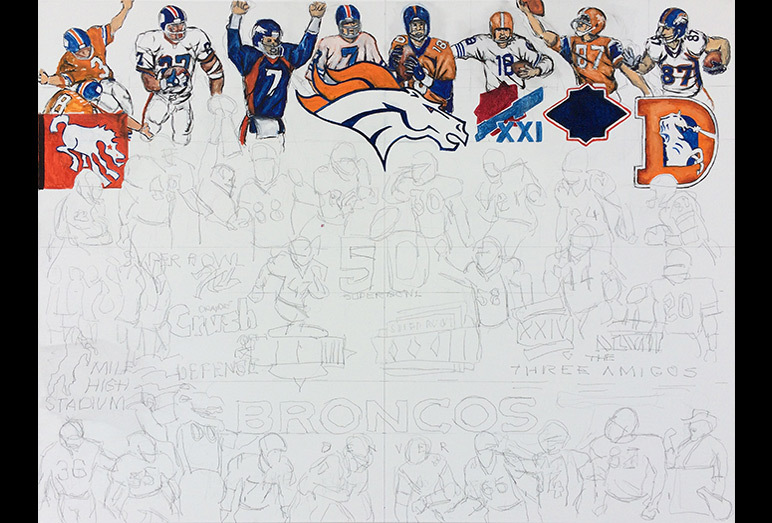 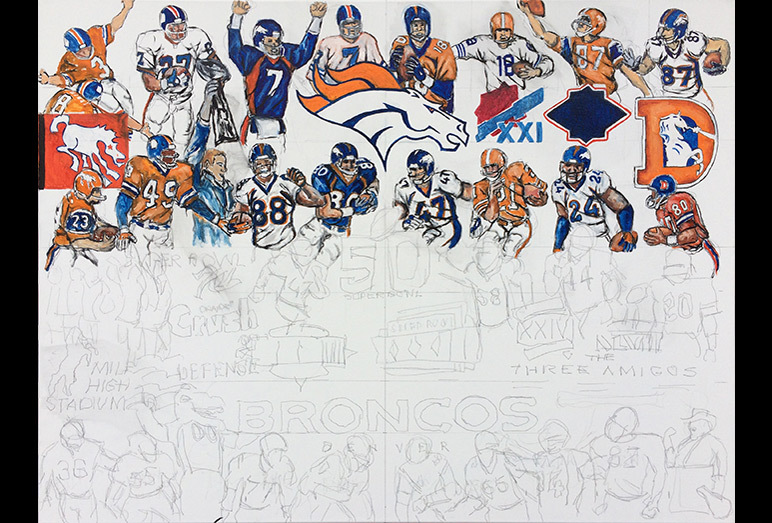 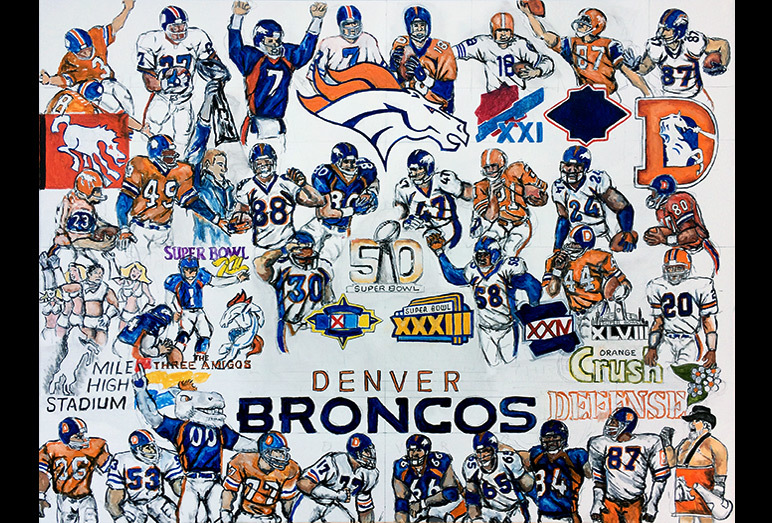 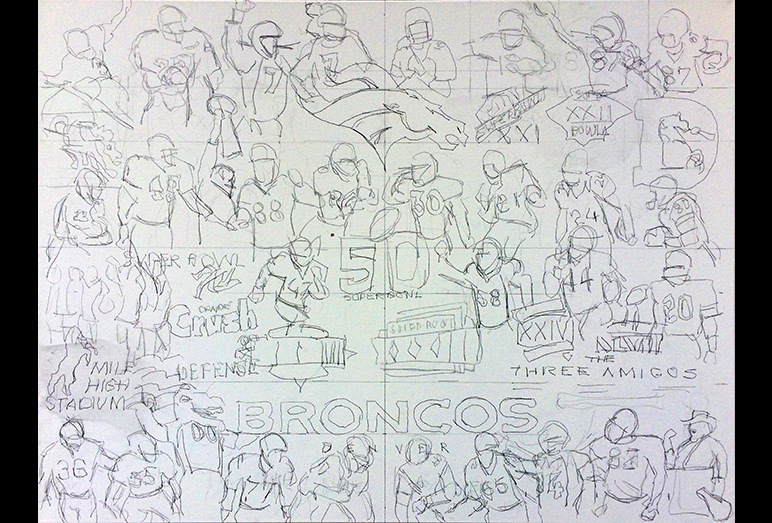 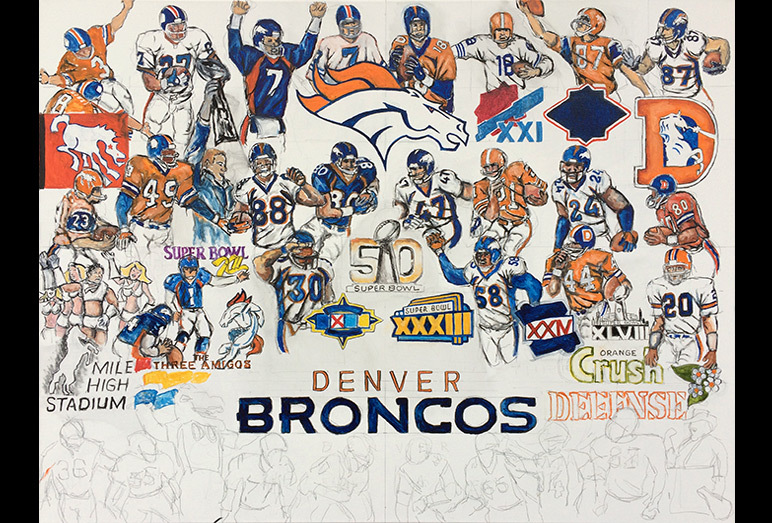 Broncos Tribute -- Painting Progression -- Use controls to view all images. I am very excited to introduce my Denver Broncos Tribute painting. 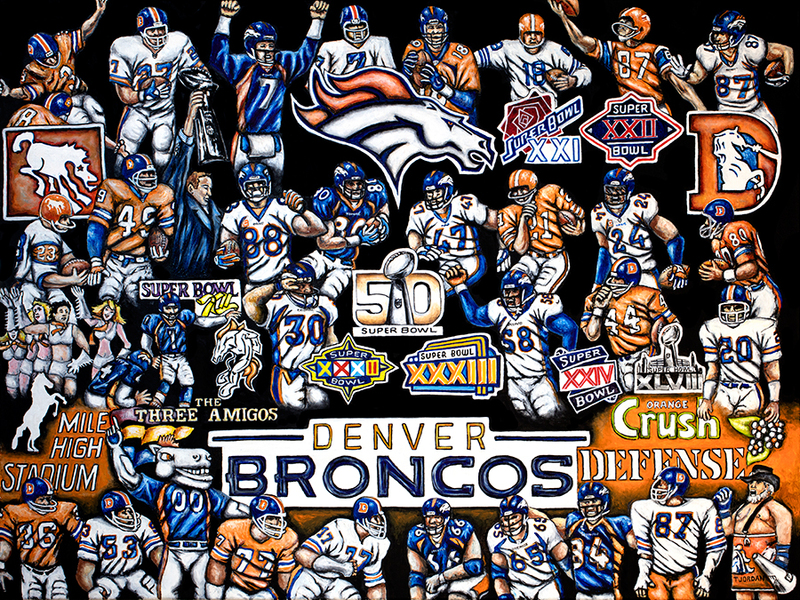 The Broncos are a storied franchise with an amazing history of great players and successful seasons. 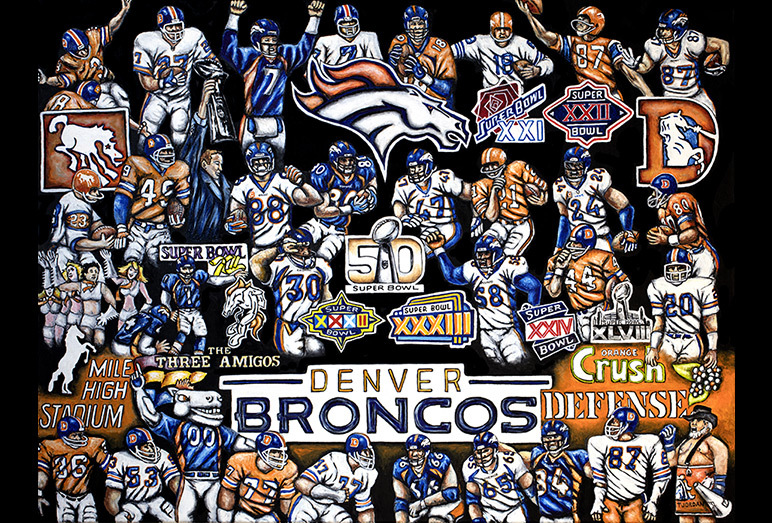 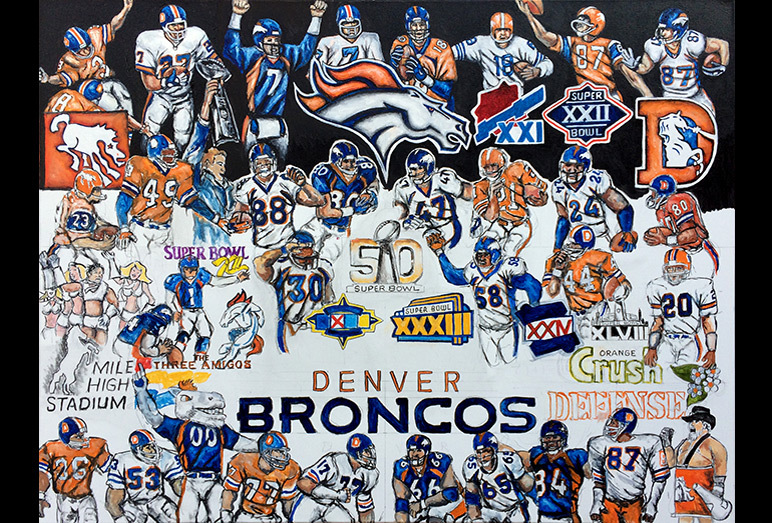 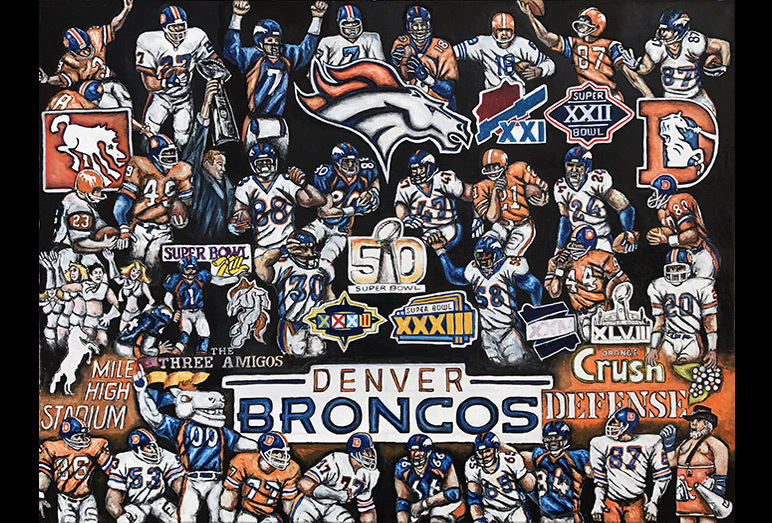 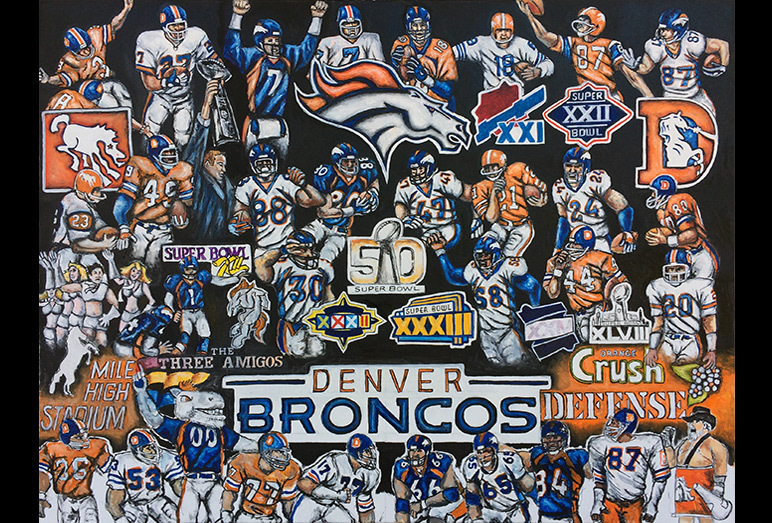 Mile-High Stadium, John Elway, the 3 Amigos and the Orange Crush are just a few things you will find included in this tribute to the reigning Superbowl Champs.